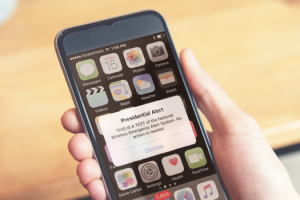 This section contains general information about the Integrated Public Alert and Warning System (IPAWS), the nation’s alert and warning infrastructure. During an emergency, alert and warning officials need to provide the public with life-saving information quickly. IPAWS is a modernization and integration of the nation’s alert and warning infrastructure, and will save time when time matters most, protecting life and property. Watch a video about IPAWS. To learn more about WEA, click here.